Let the cold stop your mani game? Puh-lease. Be sure to make a statement when you pull off your gloves with these winter nail art designs. 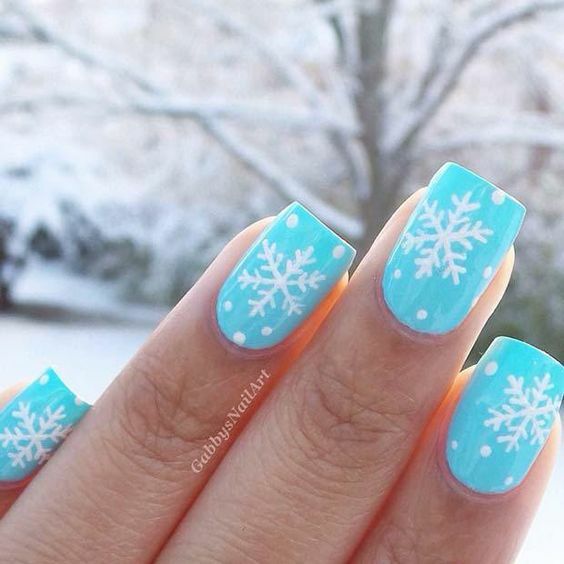 This frosty look will let your inner Elsa shine. 1. Apply the base coat to your nails. 2. 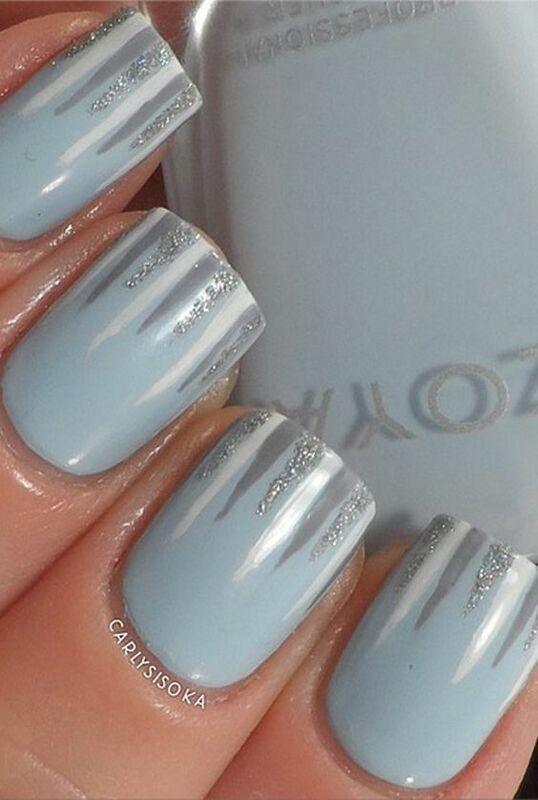 Then, use the pastel blue nail polish to create the base color for your nails. Let dry. 3. Next, use the grey, white and silver glitter polish to form the icicles by drawing a line starting at the top of your nail and working towards the nail bed. Let the line become thinner as you move towards the center of your nail. Alternate colors as you please and let dry. 4. Finally, use the top coat to add a layer of protection and shine to your nails. Add an eye-catching splash of glitter to ordinary holiday red nails. 2. Use the red nail polish to create the base color. Let dry. 3. 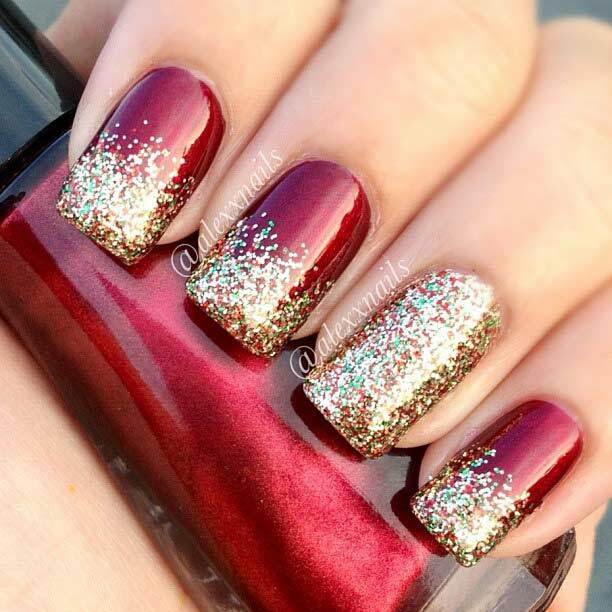 Use the gold glitter polish to layer over the red. Start at the tip of your nails and allow for the glitter to thin as you continue towards the nail bed. Let dry. 4. For extra flare, cover one nail entirely in gold. Let dry. 5. Finish nails with a layer of top coat. Let dry. 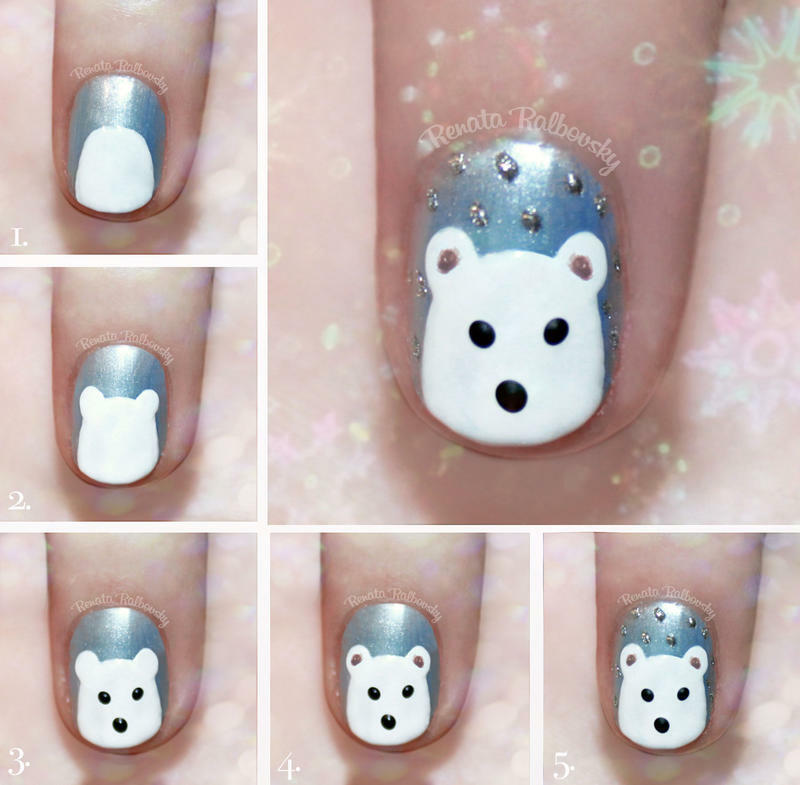 Keep it cute with this adorable bear design. 2. Use the blue nail polish to create the base color. Let dry. 3. Next, shape the head and ears of the bear using the white nail polish. Let dry. 4. Carefully dab on the eyes and nose using the black nail polish. This will take longer to dry because the paint is thicker. 5. Use the silver nail polish to create the rest of the ears and snowflakes. Again, give these details extra time to dry so that they won't smudge. 6. Finally, add a layer of top coat to finish. Which look is your fave? Tell us below!